Halva is a delicious, traditional dessert made in a many different variations across Greece and throughout the Middle East. 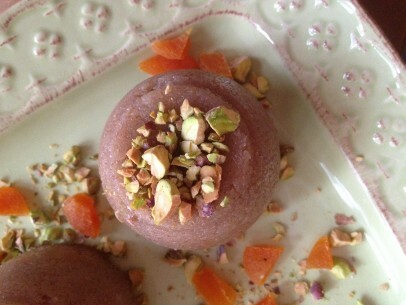 To be honest, halva is wonderful in all forms and flavors. We’ve shared our favorite family recipe below. Fine ground semolina flour, chopped nuts and sweet syrup make this the perfect pudding with it’s charmingly delicate texture flavored with aromatic cinnamon, cloves and cardamom. A very special way to end any meal! The recipe is a simple one, using only a handful of ingredients, and is a dish that’s fun for children to help with too. You can mold it into all kinds of shapes using individual molds or even a large bundt or fluted cake pan. 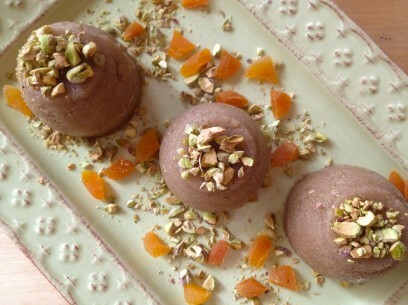 Halva pudding is quick to set up and can be dressed in an endless number of ways. I love topping halva with chopped pistachios and dried apricots or you can sprinkle a little cinnamon or powdered sugar over the top. Its easy to make this dish to suit your particular tastes – you can even drizzle melted chocolate over the top! 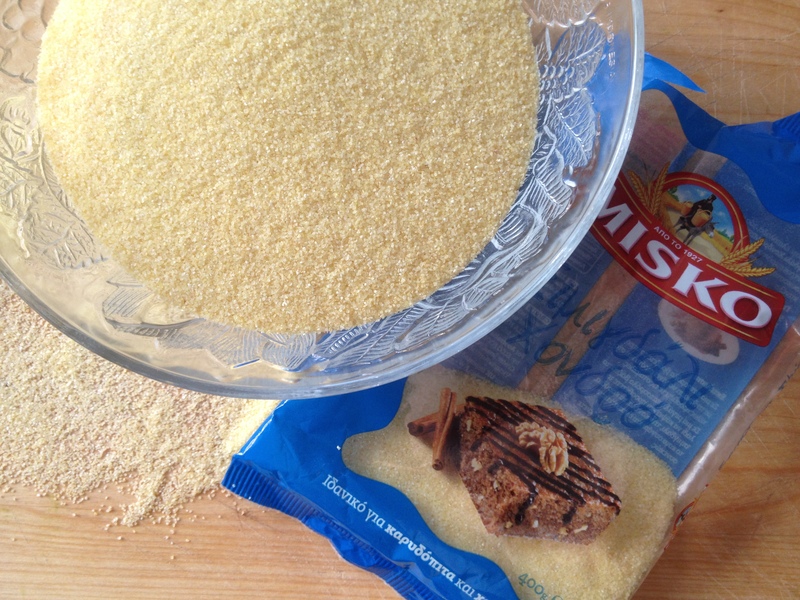 My favorite authentic Greek coarse semolina flour made by Misko here. You’ll find this in almost every Greek or Mediterranean market and online here. A 500g bag is just enough for this recipe. This pretty, pale yellow flour will be coarser than white or even whole wheat flour. Roll a bit under your fingertips to see what I mean! Cinnamon, cloves and cardamom are the perfect flavor combination here and complement the wheat and nuts without overwhelming them. Cinnamon sticks add a deep richness to the syrup, the cloves a bit of spice and the cardamom brings the brightness of citrus. 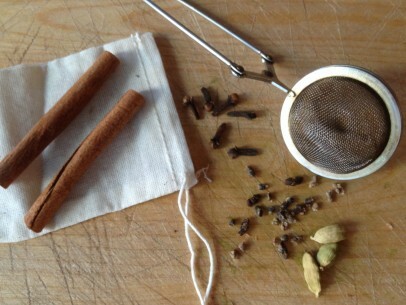 Add your cinnamon sticks directly into the pot but remember to keep the cloves and cardamom seeds contained in either a stainless steel tea strainer or a muslin tea bag. This makes is very easy to remove them when the syrup is cooked and makes sure no one accidentally breaks a tooth! Its important to use the best quality honey you can here. A good Greek honey, preferably thyme, is ideal but whatever honey you choose remember that it will add layers of flavor to your syrup and will make all the difference in just how delicious your finished halva pudding is. I like to use walnuts but you can use almonds or even pistachios with equally delicious results. How fine you chop the nuts is up to you. Traditionally they are chopped very fine and thats how I prefer it myself. As I’ve mentioned in other recipes, when possible chop your nuts by hand. 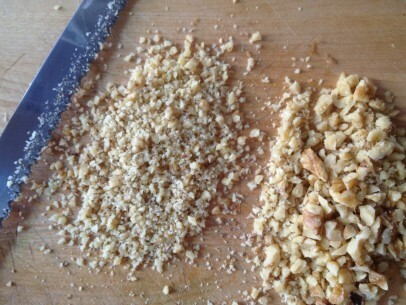 A spice grinder or food processor can quickly turn your nuts into nut meal and that really isn’t what we want here. If you have a few extra minutes, toast your chopped nuts over low heat for an extra nutty flavor. The trick to making perfect halva is to think of it like a roux that’s used to thicken soups and stews. 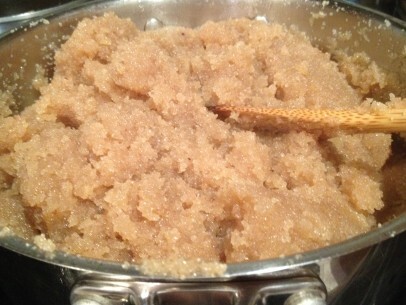 Cook the semolina in hot olive oil, mix in the chopped nuts and add hot syrup all at once to the mixture. Stand back because there will be some snap-crackle-popping and you do not want even a drop of boiling syrup to hit you! Stir the syrup in completely, remove pan from heat and quickly cover. Let it sit for 10 minutes, then spoon into molds. The semolina soaks up every drop of the hot syrup and transforms into the most amazingly good creamy, nutty, just sweet enough pudding. 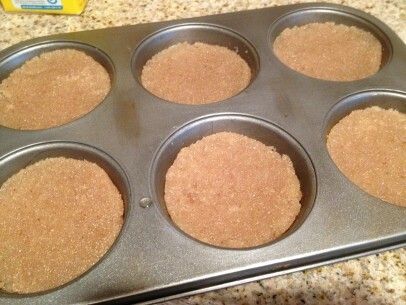 I often use cupcake or muffin tins as molds and of course interesting shaped cups and fluted bundt pans work well too. Really, just use your imagination and what you have in your kitchen! Spoon halva pudding into molds and gently press down, smoothing out top with the back of a spoon. Let your molds cool and set, takes maybe an hour or so, and then gently tip your halva pudding out of the molds and plate. They should slide right out with very little sticking. NOTE: Make your syrup first and set it aside until you’re ready to mix it into the semolina. It should still be hot when you mix it in so try to make it right before you start cooking the semolina. 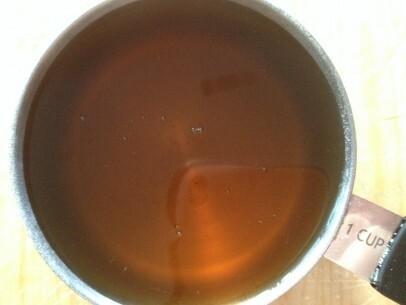 Add all syrup ingredients to pot, bring up to a low boil and cook for 5 minutes. Move off of the heat until ready to use. Heat olive oil in pan – a 3qt saucepan fits this recipe perfectly. To test whether your oil is hot enough or not, simply drop a small pinch of semolina into the pan. When it spits and fizzles, the oil is ready. Add the entire amount of semolina to the hot oil and stir well. Continue to cook on low heat for 5-7 minutes stirring frequently. Color should turn from a pale yellow to a light brown. Mix nuts into semolina and combine completely. Continue to cook on low heat for another 3-4 minutes to give the nuts a bit of time to toast. Add in all of your hot syrup at once and immediately begin stirring to incorporate all of the syrup completely and evenly. Remove pan from heat, cover and let sit for 10 minutes. Spoon halva into molds and allow to set for at least one hour. Unmold and plate. Top with chopped nuts, dried fruits, cinnamon, powdered sugar or any combination of these. You can make ahead, covered with plastic wrap and refrigerated, for 3-4 days and your halva will be just as tasty. 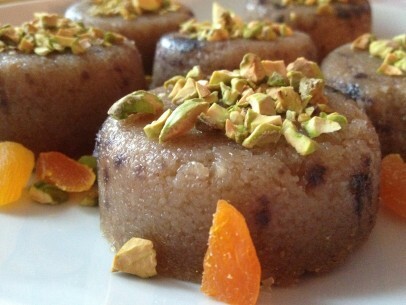 This recipe makes approx 8 cups of halva pudding which gives you anywhere from 8-12 servings. Order your 2015 Calendar Cookbook now! Your recipes have all been so wonderful and I´ve thought of your blog as safe and being truly vegan. Yet you buy and use honey. I´m actually quite disappointed. My two favourite things in the world! Halva and pistachio! I am definitely making this ^_^.